Barcelona is a cosmopolitan city with an excellent entrepreneurial and international business ecosystem. 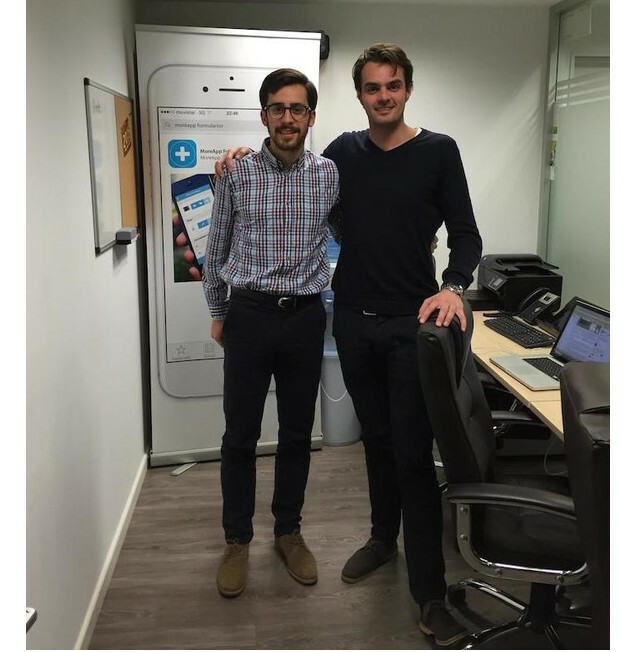 Startups as Kantox, Wallapop or InfoJobs have been set up in the Catalan capital to provide worldwide solutions. Next to an office in the Netherlands, we will join the powerful technology environment in Barcelona to help Spanish and South American companies even better with our paperless technology to replace paper business forms. So they can stop using costly and environmental unsustainable paper forms. We detected a change of mindset in Catalan, Spanish, and South American companies, since we get a lot of interest in our app. That is why we launched the Spanish version of our app and built a network of local and international partners. So far, we have users in Spain, Mexico, Peru, Colombia, Costa Rica, and Chile in different sectors: government, retail, facility services, healthcare, construction, and installation. We are proud of users like Euromaster, Scania, CSQ, KindDuch, and KraftHeinz. MoreApp digital forms saves you paper, money, and time. It gives companies an opportunity to work more sustainable. Digital forms also give you more options than paper forms, like adding photos and the GPS location. The risk of losing documents, incomplete forms, printing costs, and purchasing paper fade away. Try MoreApp now and sign up for a free test account!